As a parent to 4 children, and also working a full time job from home, I have a very busy lifestyle, and unfortunately recently I have been quite poorly and on a lot of medication - I have a painful trapped nerve in my neck. It's a slow recovery, but I haven't had a good night's sleep in a few weeks, so my energy levels are very low at the moment, and I feel very tired throughout the day. 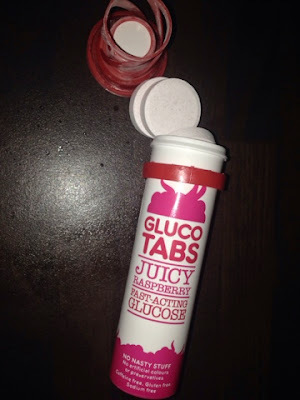 So this was a perfect opportunity for me to try out and review the Gluco tabs and juice. GLUCO offer a range of natural energy, readily available, when you need it most in either a juice bottle or a tablet form. A convenient and fast-acting way to give you natural energy on demand- Perfect for me. GLUCO is a fast acting glucose range full of only good stuff – They’re totally free of artificial nastiness, sodium or caffeine. The Gluco juice had a nice fruity flavour, though I did find the after tastes a bit sticky, like I had just consumed sugar, but I suppose that is what you should expect. Did it give me energy, yes for a few hours it did 'pick me up'. It was a helpful and great way to boost my energy when needed. The tablets were more like sweets and tasted really nice, I was very pleasantly surprised by them and much preferred these. The tubes they come in are a neat little size, perfect to keep in a handbag for example. They tablets are available in different flavours: Blueberry, Tangy orange, Zesty lemon & lime and Raspberry. I have tried raspberry, but I am definitely interested in trying out the blueberry flavour. The juice comes in Very berry flavour. I much prefer the tablets to the juice, but that is personal preference- I would recommend giving both a try as you may like one or the other or both. 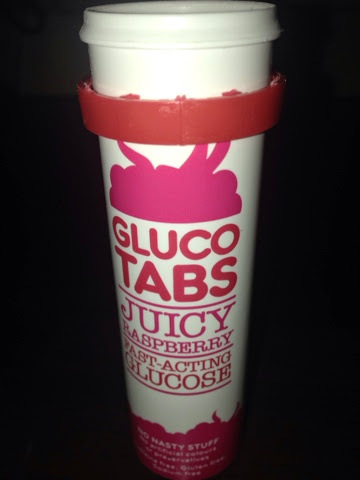 These past couple of weeks, when I have had important meetings with work, and I've just felt so tired and low I have been using the Gluco tablet and I have genuinely found they picked my energy levels up, I will definitely be buying these in the near future. Disclaimer: I was sent a bottle and the tabs from the Gluco range for the purpose of this review. All opinions are completely honest and my own.